Boilers are an essential part of any home, which means that you’ve probably spent a lot of time installing and fixing them for customers. But it can be hard to decide which one to recommend, so we’ve put together the below comparison to help your customers better understand. A type of condensing boiler and the most commonly used system in the UK, the combi boiler provides hot water on demand and heats your central heating system. 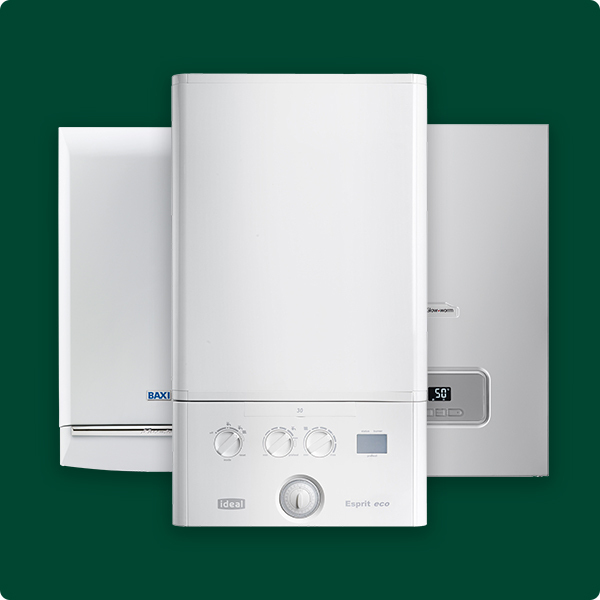 Combi boilers are best suited for smaller homes with one or two bathrooms. Not only do they take up less space but they’re better for smaller dwellings where the hot water demand is less likely to be used by multiple taps at once. If multiple taps are turned on at the same time, the water can become suddenly cold. Shop the combi boiler range here. A system boiler uses a water cylinder to store hot water and also heats the central heating system. • Suitable for dwellings with a higher number of people in the household so hot water can be supplied at the same time from two or more outlets. As these types of boilers can supply multiple hot water sources at once, they’re perfect for homes with more than one bathroom. Because the hot water supply is limited to what's stored in the cylinder, once it runs out the water needs to heat up again. Browse our range of system boilers here. Regular boilers, also known as Heat Only or Conventional boilers use a cold water storage tank, usually stored in the loft, to feed a cylinder where the water is heated and stored until required. • Hot water is stored in a cylinder, so once it runs out it will need to be heated again. Due to their size and the number of elements required for this system, it’s better to install regular boilers in larger homes or homes that already have this type of system installed as a retrofit or update. They are also great for homes with multiple bathrooms as more than one hot water source can be used at once without any heat loss. Explore our range of regular boilers. There’s a few different fuel types that work with these boilers, the fuel type is usually determined by the area the house is in. Browse our full range of boilers here. If you have any questions about boilers or our range, let us know on Twitter, give us a call (0330 123 3846) or email us at customerservice@travisperkins.co.uk. Alternatively pop into your local branch, where a member of our team will be happy to help.